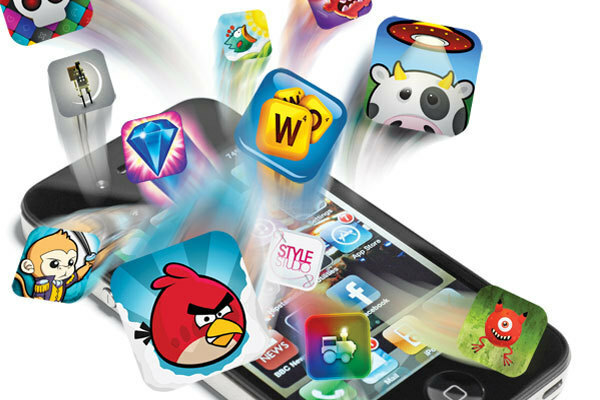 Following the technological advancement of mobile devices, the Gaming companies started to provide and publish games for the given platform. Not only did the companies make the mobile gaming experience look close to unreal, now, the people can easily access and have fun playing their favorite releases anywhere at any time. One can find and download a great number of mobile games that are showing great variety from each other as they are based on the individual subject and theme, meaning, they are divided into categories. There are over billion people nowadays using mobile gaming services thanks to the companies that chose to dedicate their work and focus specifically on mobile platforms. Online casinos are working in association with some of the leading slot and table game providing companies to make the gambling game closer and more accessible to everyone. The great examples are the latest releases of Cleopatra slot games. A big percentage of the online casino’s work is also based on the mobile gaming. Thanks to that, people are now only one click away from enjoying their favorite pokies and table games via mobile devices. Supercell is a company with the headquarters in Helsinki in Finland that has reached 2.3$ billion worth sales in 2016. Some of the biggest Supercell’s releases are Clash Royale, Brawl Stars, Clash of Clans, HayDay and Boom Beach. The one that brought the biggest amount of cash into their headquarters is a Clash Royale mobile game which surpassed 1 billion $ in revenue. The Chinese giant company called Tencent happily invested approximately 8.6 billion dollars after acknowledging Supercell’s success. The Supercell possesses the quality to publish great games and make them stay fresh for years and that is the main reason why it is considered as a top mobile gaming company. Niantic is a company with the headquarters in the USA San Francisco. Everyone has heard of the Pokemon GO mobile game and that is the Niantic’s best release that brought the biggest amount of money. The company works independently but receives investments from the internet giants like Google and Nintendo. Working with the Google company has brought many good things to Niantic. While they were associating in harnessing the Google cloud platform and Google maps, the working team has managed to develop location-based reality game called Ingress which was a big success. The next big thing was publishing the Pokemon Go game which is an also location-based reality game in July 2016. The company has reached 650 million downloads generating 1 billion dollars in revenue. That was the crucial step that has positioned and secured Niantic’s place at the top in the further years to come. Tencent is the famous giant mobile gaming company coming from China with the headquarters in Beijing. Some of the most popular Tencent’s releases are the Honor of Kings, WeFire and Clash Royale. The Clash Royale was originally the Supercell’s biggest release which the Tencent bought out by offering 8.6 billion dollars. The Tencent also has a holding in several other companies like Paradox Interactive, Glu Mobile and Miniclip. The money investment and management were the biggest factors for this company to become the world’s largest mobile games company in the revenue. It is a big influencer for other Asian companies as it operates the leading messaging mobile platforms like WeChat which includes a great number of customers. The Tencent is now focusing on lifting mobile eSports in the west and become the biggest PC hits rival. NetEase is another giant mobile gaming company with the headquarters in Beijing and the sales worth of 5 billion dollars. The biggest hits published by this company are Fantasy Journey, Onmyoji and Ghost. The company’s biggest success was made in the period of 2016th year when they released 40 new mobile games that led to the growing of revenues by 60%. 2017 was a big success too for the NetEase with the revenues reaching 4 billion dollars. All of this has made the NetEase company be considered as the top mobile gaming company in the world. Their releases like Onmyoji and Fantasy Westward Journey are highly popular in Asia and have managed to beat out the Clash Royale and Pokemon Go. The Ghost was the 9th ranked game in the world beating out the Game of War. Machine Zone, the famous US mobile gaming company with the well-known releases like Game of War, Mobile Strike and Final Fantasy: A New Empire. One of the reasons for their success is the great work management. The tactic of keeping players updated, busy and spending on new events and rewards is the one which showed the most success by making their budget occupied with constant investments. Their biggest budget jump occurred during the Super Bowl. The Super Bowl ad starring Arnold Schwarzenegger was the most viewed ad on Youtube during 2016. By working in association with Square Enix, the Machine Zone has managed to develop the Final Fantasy XV and was instantly launched amongst the top 50 US grossers. To learn more about the biggest mobile gaming companies, visit and read this guide.